YOUR UBER MODERN "HOME AWAY FROM HOME"
With the abundance of accommodation options when you travel how do you know where to stay? So many price points, so many experiences, so many styles. If you’re looking for something that is cozy but not commercialized, visually appealing and refreshingly modern, that gives you the comforts of being at home without the headache of lifting a finger (in a four-star setting) look no further than the OKKO Hotels. 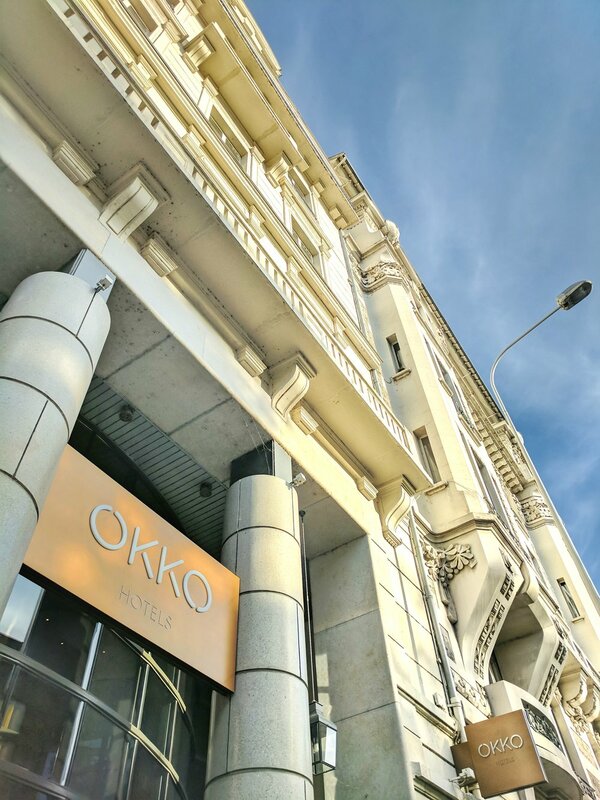 With soon to be 8 locations throughout France in Nantes, Grenoble, Lyon, Cannes, Rueil-Malmaison, Bayonne, Paris and Strasbourg this month the OKKO Hotels prides itself on offering an all-inclusive experience for business and leisure travelers – at a price point anyone can afford! From the moment you walk up to the outside of each of the properties you know you are in for a treat. The exterior architecture is just as impressive as the interior with the warm, friendly faces of the staff waiting for you at the front desk. No matter where you are on the properties they could not be more attentive or friendly. With OKKO you're not just getting a room, you’re getting an entire experience. I had the pleasure of staying in both the Lyon Pont Lafayette and Paris Porte de Versailles locations and I can easily say both locations were probably the best places I stayed on the entirety of my recent 18-day trip to France. As I walked into my rooms in both locations I felt a sense of comfort juxtaposed by modernity. The first thing I noticed though as I walked in? The unbelievably awesome design surrounding the en-suite bathrooms which made me feel as though I was in the MoMA rather than a hotel chain. 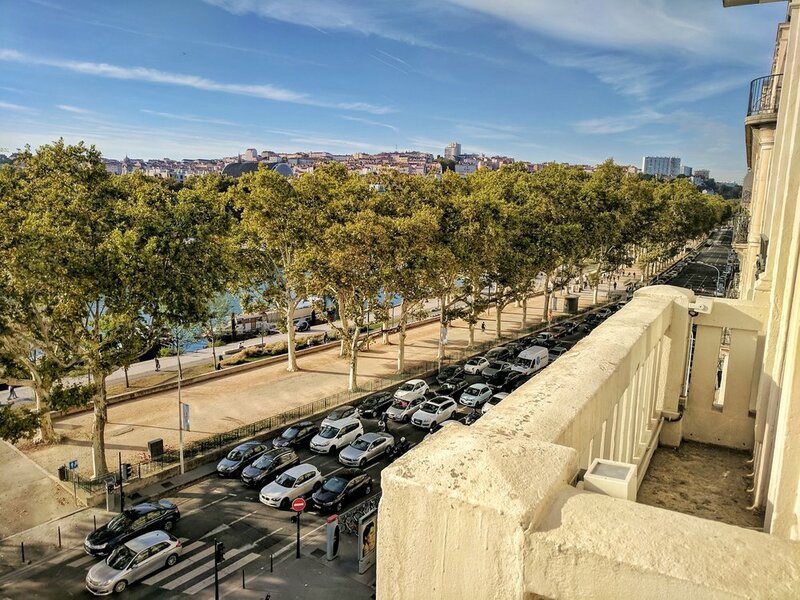 Both the Paris and Lyon locations were equally amazing but the room I received in Lyon was probably the most special – mainly because of the out-of-this-world view I had of the Rhône River and the Basilica of Notre-Dame de Fourvière in the distance. The room included plenty of storage, a flat screen TV with ample entertainment options and the cutest little terrace if I wanted to just take in the fresh Lyonnaise air. You’re not right in the thick of it but can easily get to where you want. You can see another part of the city you may not thought of visiting. Access to public transport - both locations were easily accessible to both the Metro and the airport/train stations. The en-suite bathroom features a spacious walk in shower with rain shower head. Flat screen TVs feature an abundance of entertainment options. Everyday the famous 'OKKO apéritivo' takes place from 7-10pm featuring wine, cheese and meat. A daily complimentary continental breakfast to fit everyone's needs. And outside of those two planned meals The Club offers endless snacks and drinks. Need to store your bag? Not a problem! Want to bring your pet? All pets weighing under 15 kg are welcome at no extra cost! Worried about your personal items? All of their rooms come with a small safety deposit box – and they will let you use their main safe upon request. And if you fall in love with the décor they even offer a selection of designer items and furniture for sale in their online boutique chosen by the team and interior designer Patrick Norguet! Staying in the OKKO Hotels again would not be something I would have to question. It was quite possibly one of the best experiences I have had. I've stayed in some pretty great hotels but there is a level of service and comfort that the OKKO offers that I just haven't come across before. Big thank you to OKKO Hotels for making my stay in both Lyon and Paris possible. Please note even through I was welcomed as a guest of OKKO Hotels all opinions are my own.